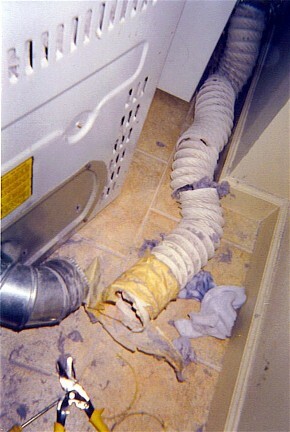 Dirty Dryer Vent Photos - Sweep&apos;s Luck - Chimney, Dryer Vent and Air Duct Cleaning company serving San Diego and Lake Arrowhead. Make sure and keep your clothes dryer vents clean. You can call Sweeps Luck Chimney Service because cleaning dryer vents is one of our specialties. Did you know there are 16,700 dryer vent fires a year and the number continues to rise. 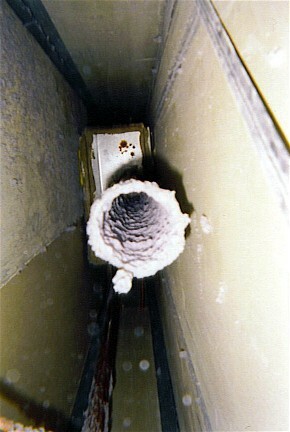 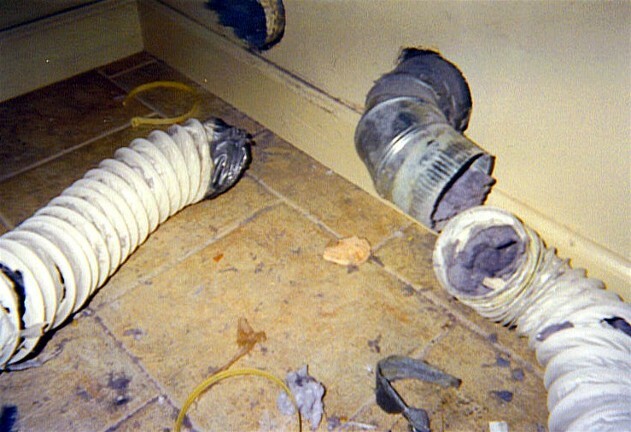 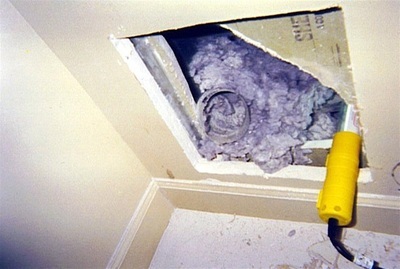 * Here are a few photos of dryer vents that we have needed to clean. 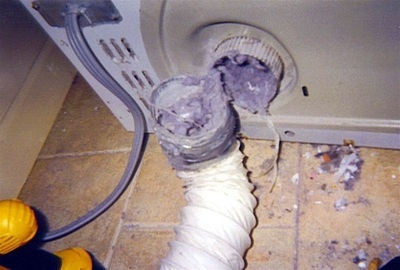 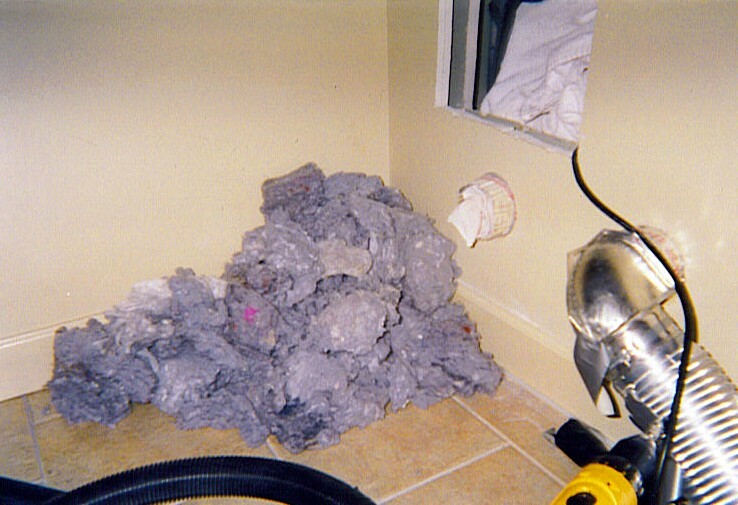 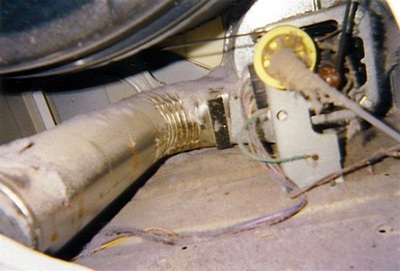 Take a look at your own clothes dryer vents and make sure this dryer lint buildup isn’t happening in your house. 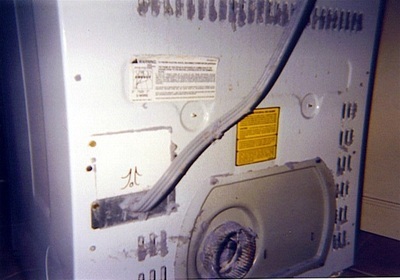 Click on thumbnails below to view a larger image.